Color change wraps are always a blast to have in the shop. Our certified installers use precision and expertise to make the color change appear to be a paint job. Fast-Trac Designs uses top of the line material from 3M, the 1080 series film comes in a wide variety of colors, textures and finishes. 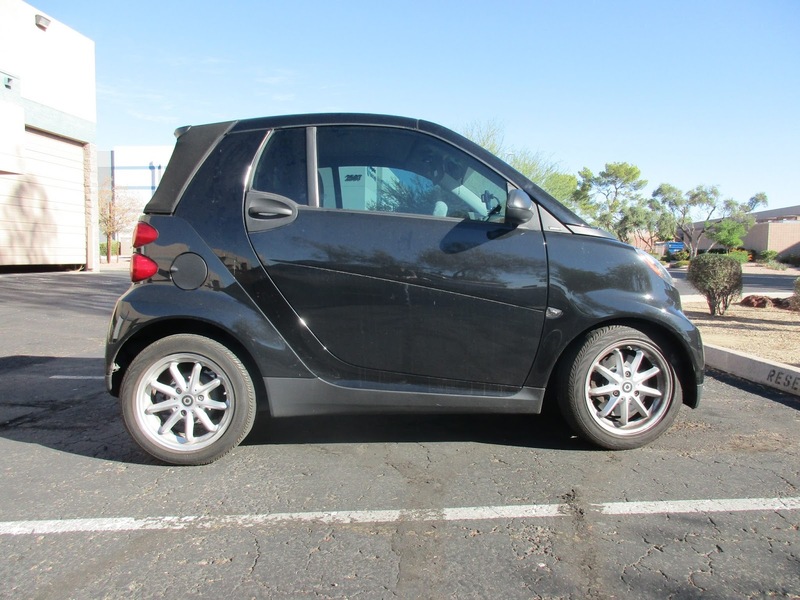 Our most recent color change was on a black Smart car and the client was looking for a way to make her car stand out. Originally black, the Smart car did not fit the style of the client and she choose to wrap her vehicle with 3M Gloss Fierce Fuschia and Gloss Blue Raspberry. The finished product was phonominal, the colors complimented each other and was exactly what the client wanted. We are pretty sure it is clear that color change wraps are the smart way to go.